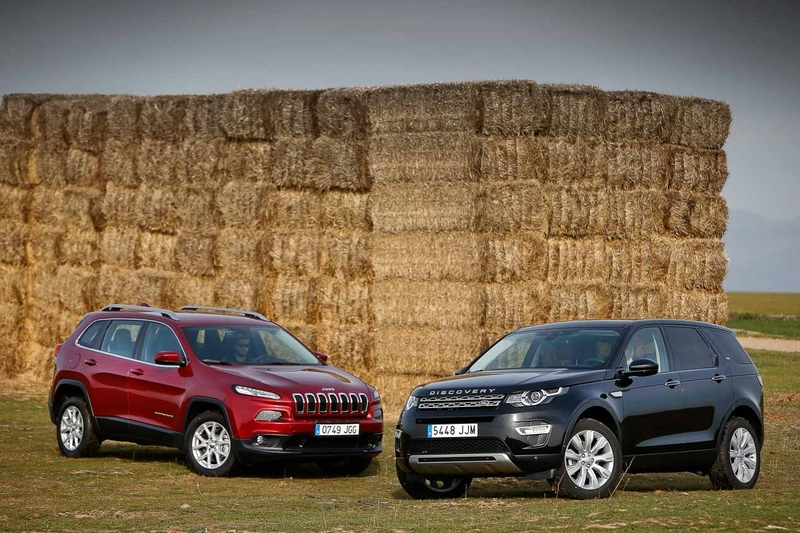 Both Jeep, across the Atlantic, as Land Rover, of British origin, are two of the most traditional SUV brands. With the demand for current SUV is true that both the current Cherokee, now in its fifth generation, such as Discovery, now with the name Sport, have a more asphaltic vocation, but not cease to be among the SUV means more effective when the road ends and the road is complicated. His images imposed, especially in the case of Land Rover Discovery Sport, with a huge width of 2.07 meters, 17 cm more than its rival, as height rises only 2 cm while its length is 3 cm smaller. 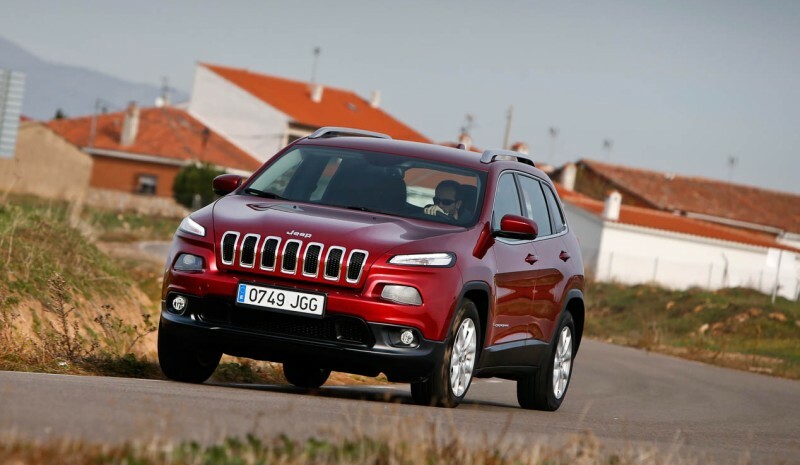 Jeep Cherokee design, Instead, he has abandoned the past heavy straight lines in favor of more rounded surfaces that give a great personality issues, but also restrict its functionality with a door coupe style almost complicating sometimes load the trunk. Access jeep Cherokee It supposed to be pleasantly surprised by the improving their materials, plastic very soft touch and very attractive solutions in sight, such as double stitching of the upper dashboard imitating leather wrapped. There are no cracks in this regard, although the Land Rover Discovery Sport luce higher quality materials appear, more refined plastics and finest skins, although an excess of hard plastic on the center console clouds the outlook. Its driving position is very good with a very wide range in their movements. Higher in the Jeep -the passenger seat is positioned somewhat lower, since the driver is electric and the other not their seating as well excel in comfort, despite his stool rather short, although missing extra support in dynamic driving. all his controls are very well placed, with correct ergonomics, although the central armrest is in an excessively high position, but really this is a great discomfort only in manual versions. 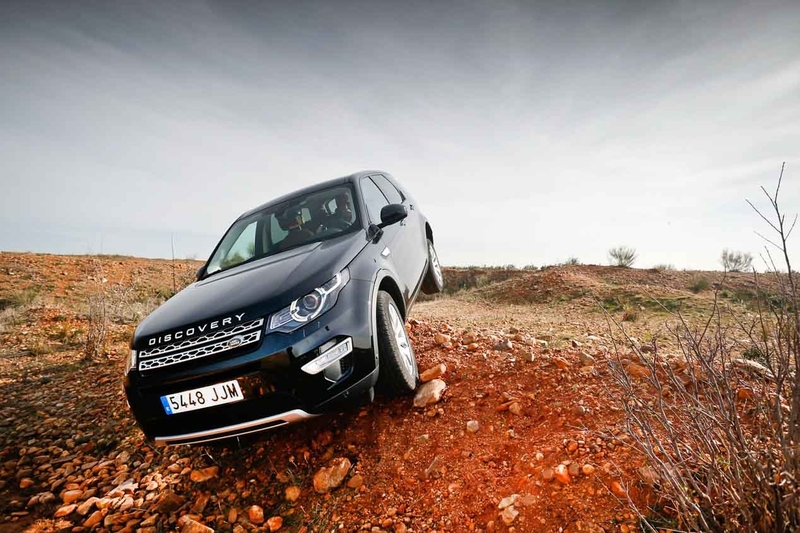 In the Discovery Sport, the command of the windows, placed very high, is the only jarring note. These Limited versions and HSE Luxury, especially in the case of the Jeep, offer complete equipment serial, which helps to perceive them as luxury cars. Screen 7 "configurable instrumentation (you can see large digital speedometer, different vehicle information, driving assistants, audio, messages, warnings ...) between the speedometer and tachometer or touch 8.4" of the center console, which includes the browser, are examples, as the key practice handsfree or heated and ventilated seats; both as an option on its rival. Their rear seats They offer great flexibility thanks to seats They are regulating longitudinally into two asymmetrical sections, in a range of 13 cm in the Jeep and 16 in the Land Rover, which add up reclining seatbacks. He Discovery space Sport clearly it feels higher, Although the Jeep among the smallest in its category- is also sufficient. Better even for adults, because their knees do not go as high, while the central plaza is more comfortable than the Briton, who is closer and firmer than the fluffy side. As a high added value, it offers a practical third line of folding seats -Increase the price of the car 1,370 euros-. Only suitable for children, their small size, presents a big problem is that to enable it found no space in which to leave the luggage cover curtain, not even obliquely fits in the trunk meager, with 7 seats are only 85 liters . As to load capacity, the Discovery Sport wins by a landslide, with 130 more liters in the most forward seat in the second row and 105 in the rearmost position. more cubical and higher plane for loading Cherokee forms, both with eyelets and hooks for hanging bags while English is demarcates with practical rails and buttons without any effort to bring down the seats in the second row. Very comfortable in the Jeep the button on the side of the trunk to close electrically without having to stretch his arm to reach the gate. with versions 185 and 200 CV, Meanwhile he Land Rover 2.2 replaces its original Ford with its 190 hp Ingenium new family of engines, a 2.0 150 or 180 hp. In the first case does not replace the 2.0 CRD 140 and 170 hp, has only two options with superior performance. It's about a very powerful engine, with high torque figure and a benefits, especially in recovery, which They liken it to a BMW X3 xDrive 20d Aut. 190 hp. It is not refined, therefore rumorosidad as touch, but not as rough as the Ingenium 2.0 I idling, moment that clearly conveys its vibrations both steering controls and the floor of the car; perceptible by all passengers. Yes, as the march begins this disappears everything becoming softness and silky, with a much more enjoyable than the Multijet and more elastic response. Jekyll and Hyde. Well enough to receive a stop big jolt when the Stop & Start again puts the engine running. A propellant from the previous 2.2 loses benefits, the order of 0.6 seconds as both acceleration in recovery, which will be carried the slowest of his rivals; but with enough dynamism. Yes, himself an SUV 4x4 150 hp and the 2.0 is here 180 must move a mass of nearly 2,100 kg; 100 more than the Cherokee with smaller displacement engine. For consumption Jeep also imposes forcefully, with reasonable spending figures record city and highway. The Land Rover spends on average 1.2 l / 100, which together with a deposit of only 54 liters sheds much smaller than its rivals autonomies. in town at least, has lowered records 2.2 0.9 l / 100 km on the highway while keeping the same measurements. For transmission both of them resort to new box by automatic torque converter 9-speed ZF. This is a device that stands out more for smoothness that quickly. However, it feels more refined in the Discovery Sport, but also it takes longer to react to a sudden acceleration if we have not previously selected the Sport position or have gone down a couple of gears with steering wheel paddles; of the Jeep lacks, but also allows sequential management through its leverage, reducing touches forward and moving into a higher gear to pull back. Compared to 2.0 CRD now 2.2 in this notice how the connection between throttle and response is more direct, as if there were less slippage of the converter; although in these circumstances their reactions are also more abrupt than in English. With heights of 1.70 m and about 2,000 kg, clear starting behavior these cars It may not be comparable to that of a passenger car. Still, both they pass the exam with flying colors. Yes, with a clear commitment to comfort. He Discovery Sport feels dynamic, with firm damping, contents body sways and quick and precise steering, but in winding routes soon comes out its great mass, large inertia, that if we harness can afford to move quickly; provided that we spend speed when entering a curve, for then, at best, we will lose all speed. 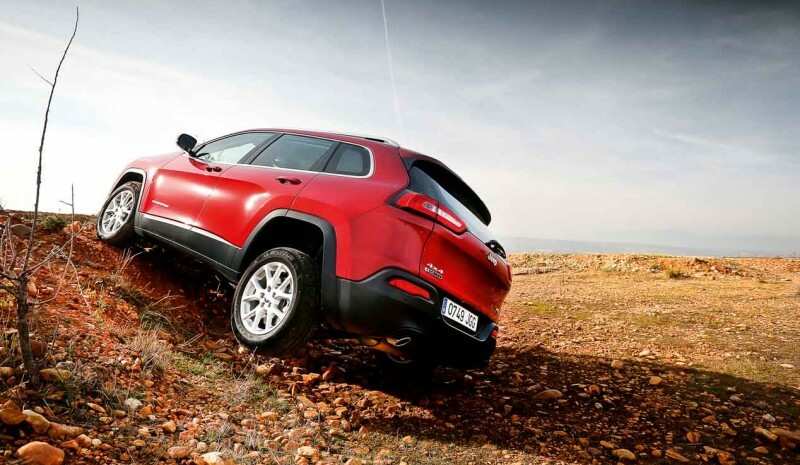 He cherokee commitment to a smoother ride, although without excessive vertical movement and direction that we immediately indicates that sporty driving does not feel at ease. 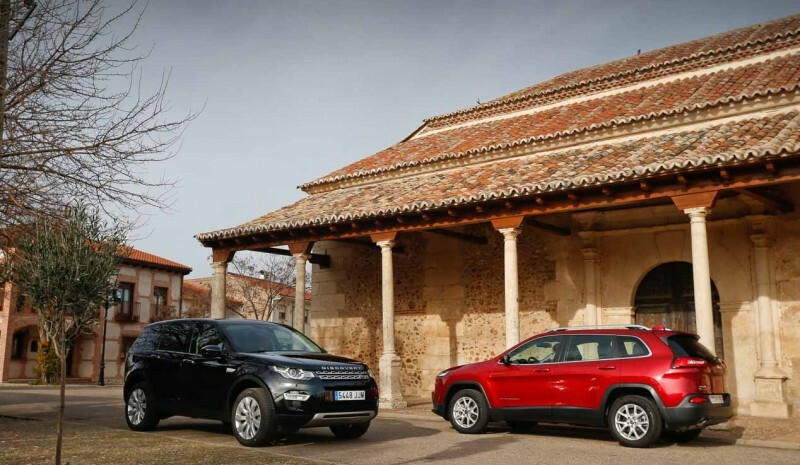 By countryside he Discovery Sport enjoys better bounds TT and wider buffer tours, but also traction, in the two through a Haldex clutch type, It is more effective: Road works even better, as the Cherokee, in sporty driving, it is easy to feel how the car "loses" vehemently wheel when accelerating after a sudden change in pesos. 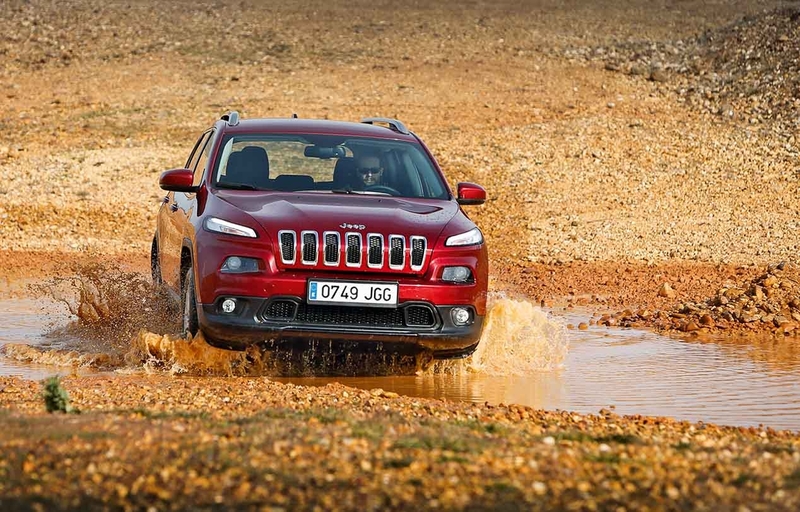 In the Jeep we can choose between all-wheel Active Drive Active Drive I or II, which added 3,988 euros reductive sobreelevada body and other electronic systems to improve their skills off-road. He Discovery Sport convinces more by how it is resolved inside, either finished or livability, but it runs considerably less than its rival, consume more, are less well equipped and most decisive, It costs more than 11,270 euros, with what's already said everything. Yes, maybe English has many advantages, but the difference in some sections is too bulky. Comparison: X3 20d xDrive 5p Aut 190 vs Jeep Grand Cherokee 2.2 MJD-200 Limited.